One of a kind gemstone bracelet♥ Ready to ship! 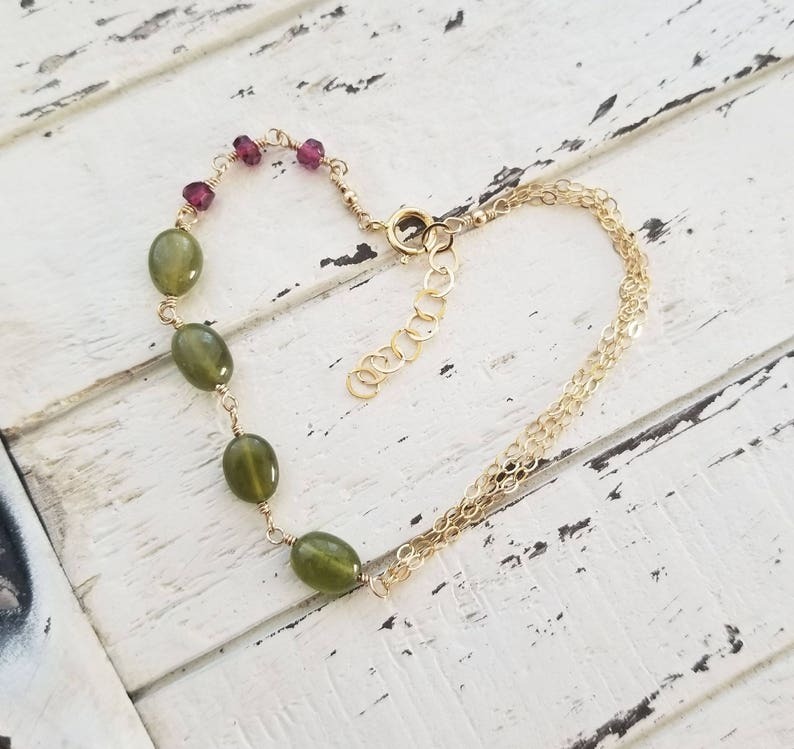 ♥The most beautiful and perfectly smooth Vesuvianite Idocrase rondelles (~7-8mm) are meticulously wire wrapped in warm gold filled wire, while accented by three teeny tiny garnets and a cluster of shimmering 14kt gold filled chain. A round spring clasp and 1-inch extender allow some room for adjustment (adjustable up to 8-inches).